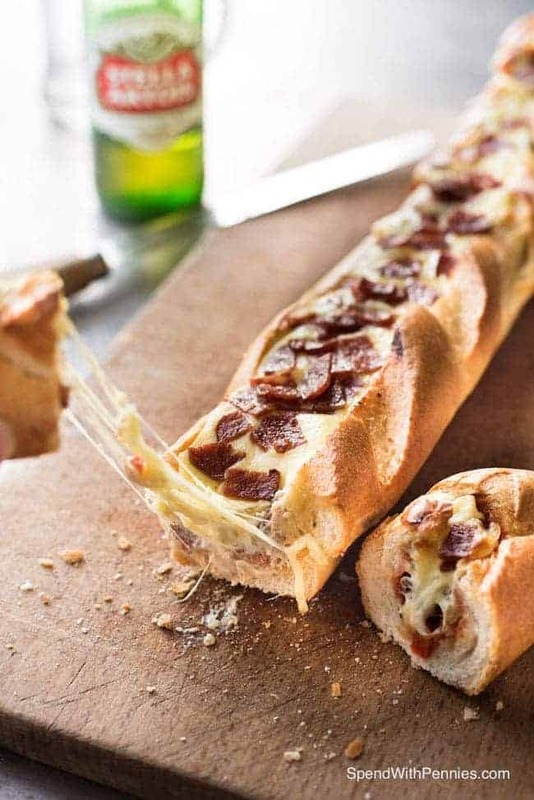 This Pizza Dip Stuffed Baguette has some of the best foods in the entire world, rolled into one: pizza, gooey cheese, dip and warm crusty bread. Take this to any gathering and you’re guaranteed to be the most popular person there! I truly believe to my very core that cheese is one of the greatest inventions this world has ever seen. I can’t imagine a world without cheese. And seriously, I am yet to meet a cheese I don’t love. 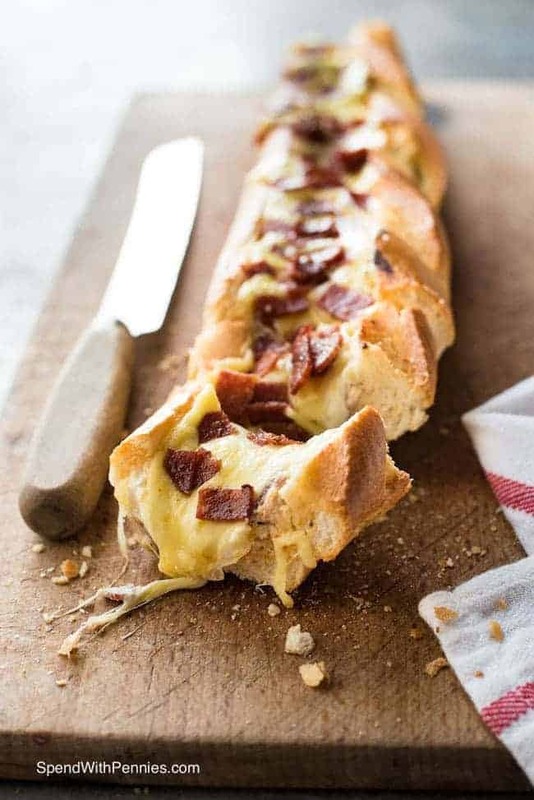 So this is pretty much heaven in a baguette form for me. 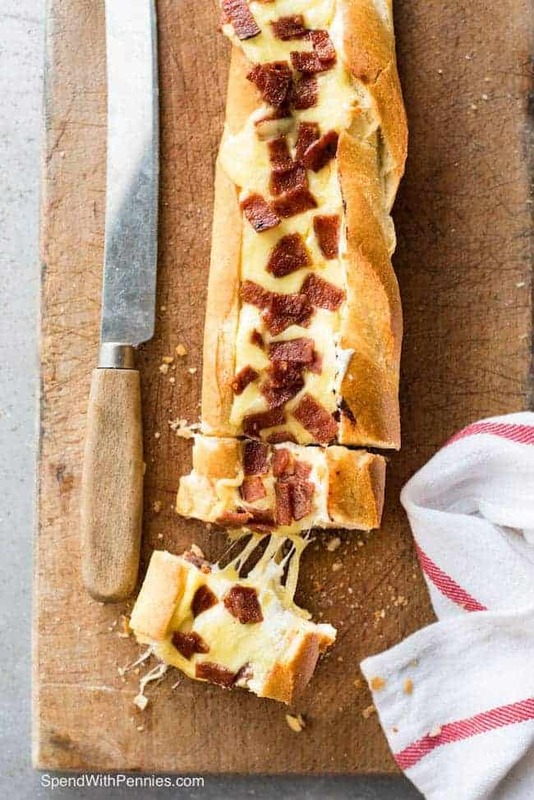 THREE types of cheese – cream cheese and cheddar cheese in the filling, then topped with stretchy mozzarella cheese. PLUS the flavour of pizza. Really. 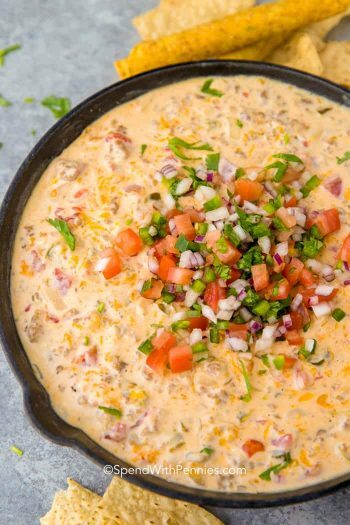 It’s pizza in a dip form. Enclosed with warm crunchy bread. Oh my. My knees get weak just looking at these photos. I’ve stayed pretty traditional with this, stuffing it with pepperoni, bell peppers and onion. But really, the possibilities are endless! 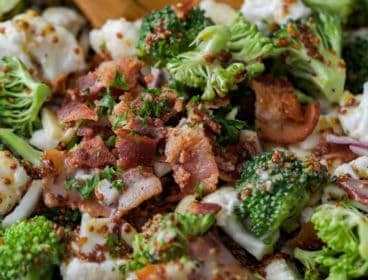 Just think of your favorite pizza and stuff those toppings in there! Hmm. I’m thinking: olives, prosciutto, artichokes, mushrooms…. I really do love topping it with pepperoni/salami. I just love how it bakes beautifully golden and it adds massive pops of flavor. I like to chop up large slices purchased from the deli rather than mini pepperoni. I just find that they have more intense flavor than the mini ones – but you could use the mini ones if you prefer! They say a picture (or pictures!) say a thousand words. You really don’t need much more than these photos to know how to make this. Do you really need the recipe? Really? JUST JOKES! Of course, I’m writing out the recipe for you too! 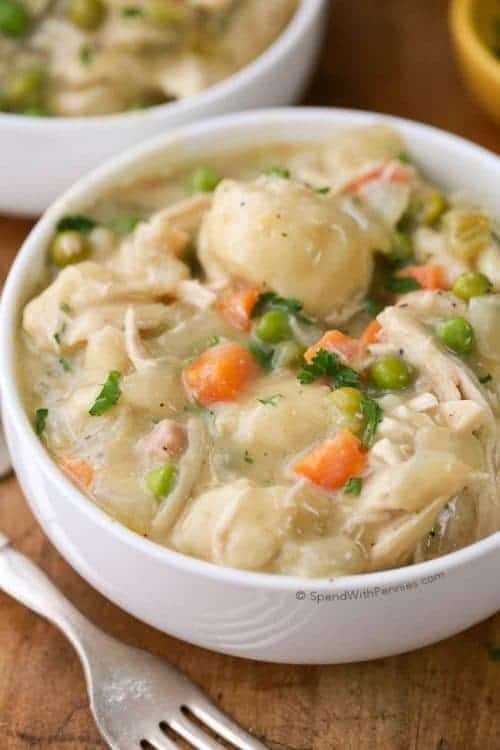 One great thing about this recipe is that you can not only assemble it ahead, but it can also be partially cooked and even pre sliced too. I find that really handy for when I take this to gatherings – saves me from cutting it up there. So! 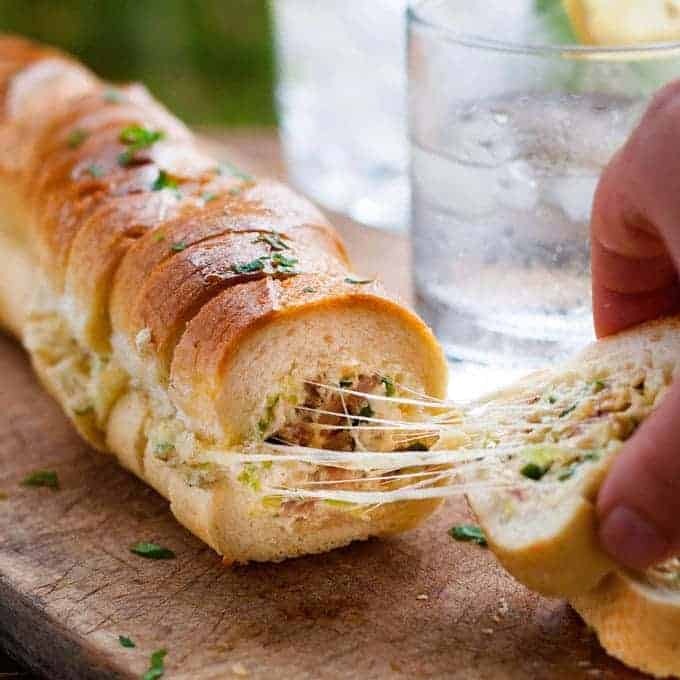 If YOU want to be the most popular person at your next party, I think you should give this Pizza Dip Stuffed Baguette a go!!! 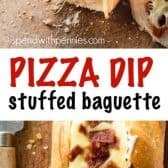 Warm crusty bread, pizza, dip and gooey cheese all rolled into one! Heat a non stick skillet over high heat. Cook HALF the pepperoni/salami and onion into the skillet and cook for 2 minutes. Add red bell peppers and cook for a further 1 minute. Remove onto a plate. Mix together Cream Cheese Filling ingredients. 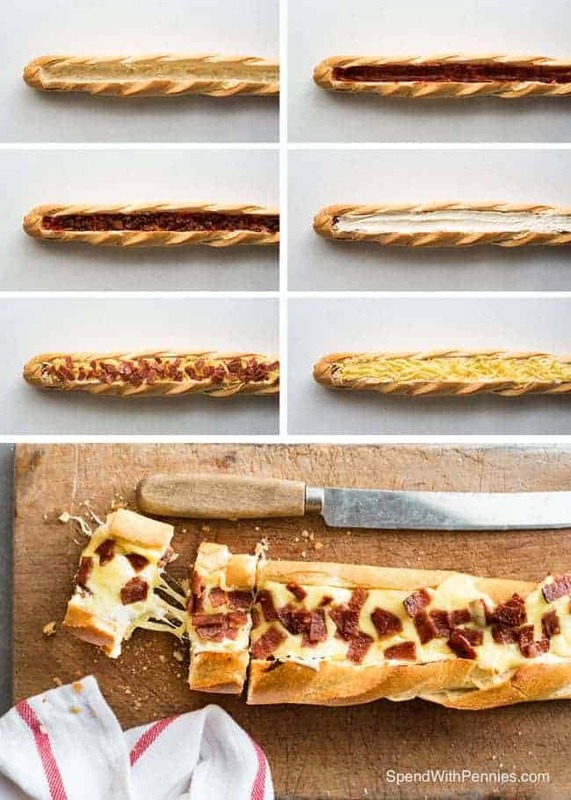 Use a knife to cut a deep V into the baguette and pick out the bread to create a deep crevice. Spread the pizza sauce into the crevice. Top with COOKED pepperoni, onion and bell peppers. Then top with Cream Cheese Filling, mozzarella cheese then UNCOOKED pepperoni. Wrap with foil and bake for 15 minutes, then unwrap and bake for a further 5 minutes. 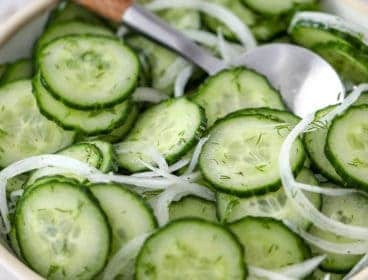 Cut into thick slices and serve immediately! 1. I like making this with the long thin French baguettes which are 65cm/2 feet long with a diameter of around 5 - 6cm/2 1/2 inches. 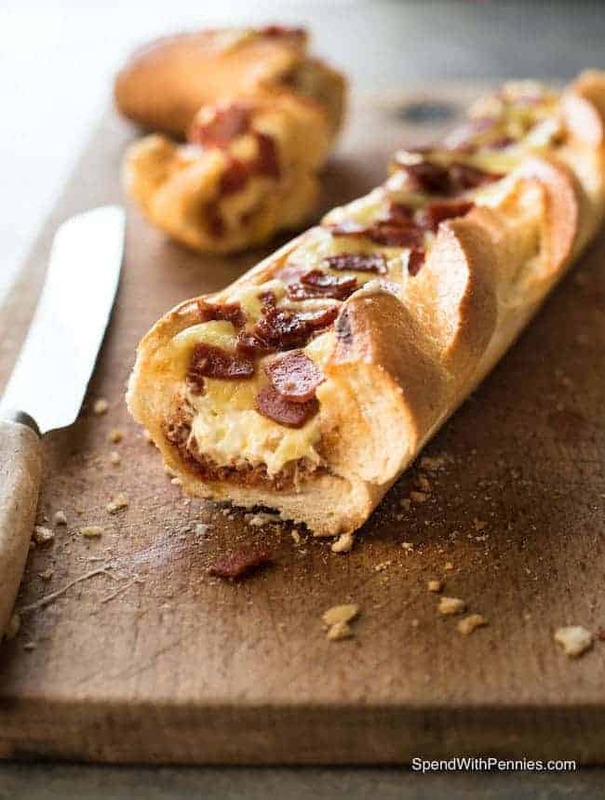 This can also be made with the fatter baguettes but the dip quantity will need to be increased by about 50%. 2. 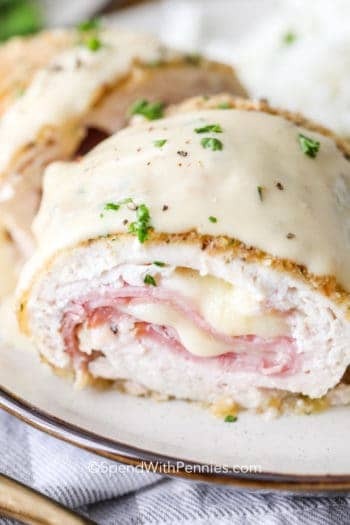 To make ahead, you can either assemble then cook when ready, OR you can bake in foil for 15 minutes per recipe, then slice it and then wrap in foil again. When ready to cook, reheat the pre-sliced baguette at 350F/180C for 5 minutes wrapped then 5 minutes unwrapped. This looks great for a party I’m having next weekend. Can I freeze it and then take it out to bake? 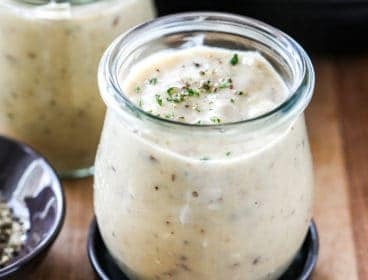 I haven’t tried freezing this recipe ahead of time. Yummy addition!! Thanks for sharing! Umm yes, please! All things delicisous are wrapped in this baguette! What a crowd-pleaser! Nagi is one of the best!! I agree!! And for sure this going to be showing up at my next party! 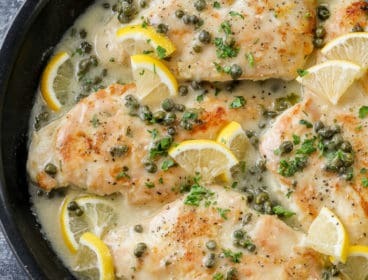 As usual a great recipe by Nagi. This is going to be a hit with my friends and family! 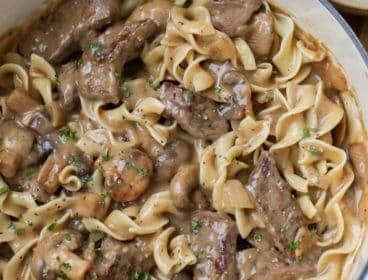 Wowzers, you just can’t go wrong with anything pizza related and all I want is a huge bite of this! I agree… all things pizza are delicious! Oh man, this is making me so hungry for pizza at 8AM!! All that gooey cheese is giving me major heart eyes right now. Pinning this for my next potluck! I’m with you, I could literally live on cheese! 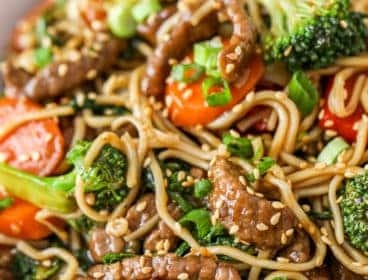 This is crazy good, I’m craving it right now, even before I’ve had breakfast!